They were very tasty indeed and were well-received by everyone who tried them. You will need a 20.5cm (8in) square baking tin. You could cut them into 12 large brownies however I cut them into 16 medium-sized brownies which was just right in my opinion. If your short on time or don’t have any marmalade you could always leave the drizzle off the brownies. 1) Preheat your oven to 180°C/160°C fan/gas mark 4 and lightly grease and line a 20.5cm (8in) square baking tin with baking parchment. 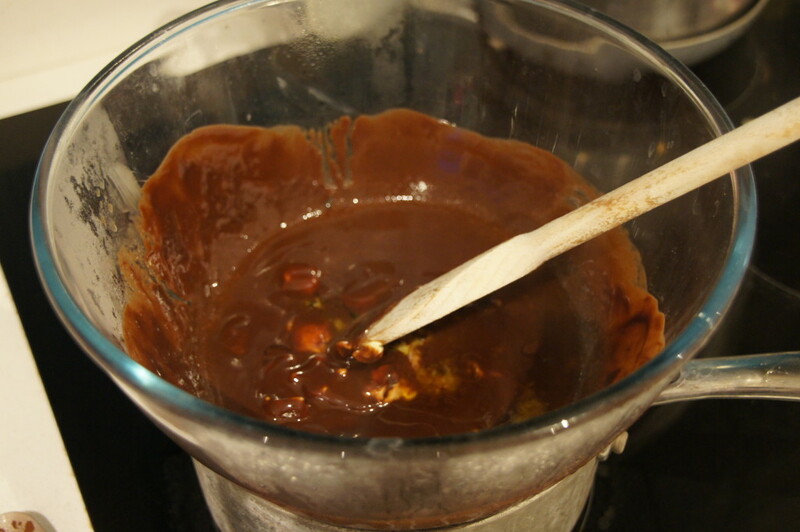 2) Melt the butter and chocolate together in a heatproof bowl set over a pan of barely simmering water (making sure the base of the bowl doesn’t touch the water). 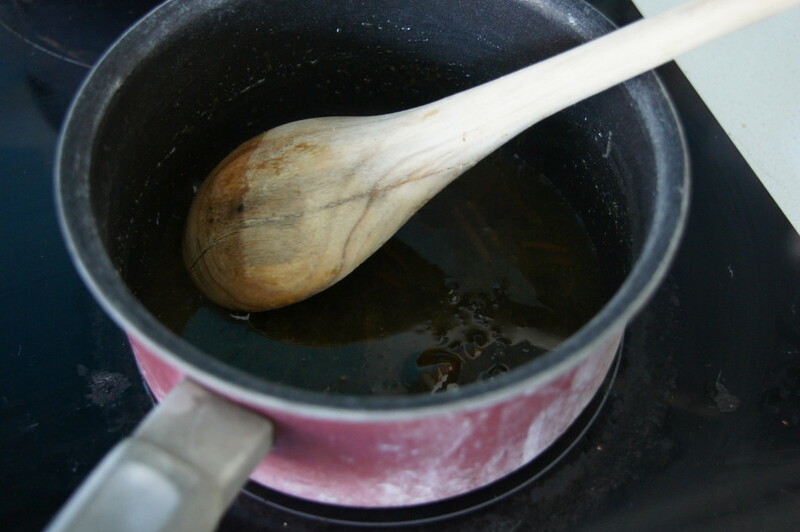 When the mixture is melted and smooth, lift the bowl off the pan and carefully dry the moisture from the bottom of the bowl. 3) Without letting the chocolate cool down, vigorously beat the sugar into the chocolate mixture for 30 seconds, followed by the eggs, then the vanilla and orange zest. 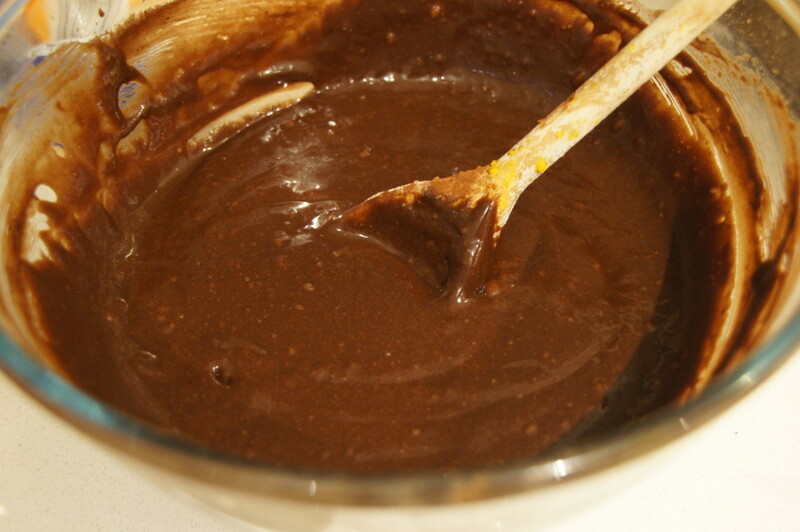 Add the cocoa and flour then beat again until smooth. 4) Pour half the mixture into the prepared tin and spread to the edges. Arrange 9 Jaffa Cakes neatly on top. 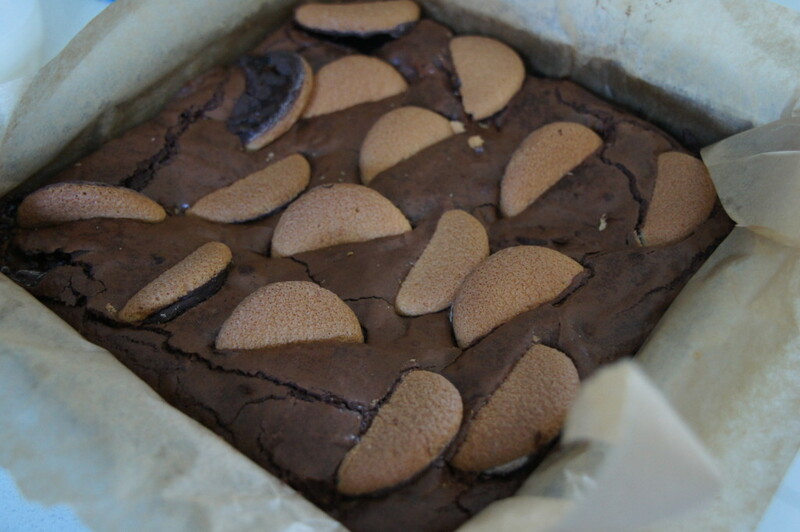 Pour over the remaining mixture and spread evenly to level without disturbing the Jaffa Cakes underneath. Halve the remaining Jaffa Cakes and poke the cut edges in at a slight angle on the top, alternating between chocolate-side-up and sponge-side-up. 5) Bake for 30-35 minutes or until there is no wobble left when you gently shake the tin. Allow to cool completely in the tin. If you want to cut really neat slices, put them in the fridge for 1 hour after they’ve cooled to room temperature, to firm up. 6) To make the drizzle gently heat the marmalade with the orange juice in a small pan, stirring to melt into a sauce. Remove from the heat and leave to cool briefly for a few minutes. 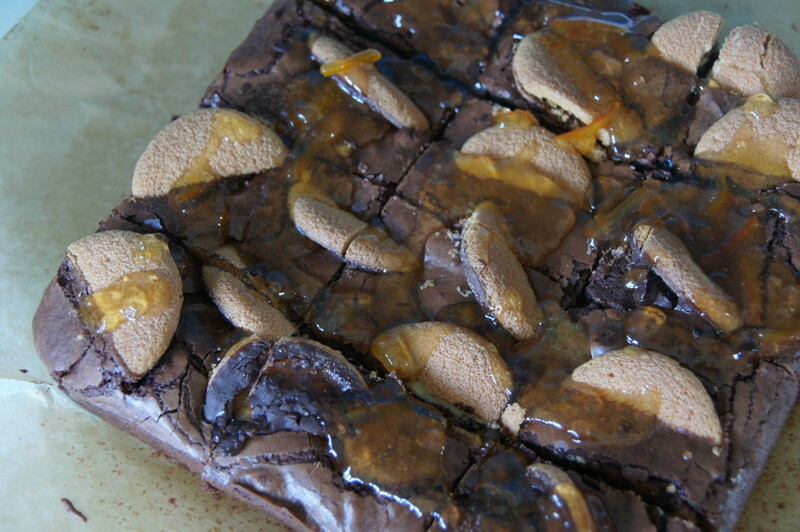 7) Cut the brownies into 12 or 16 pieces and then drizzle over the marmalade sauce to serve.